Let your darkest desires take flight! 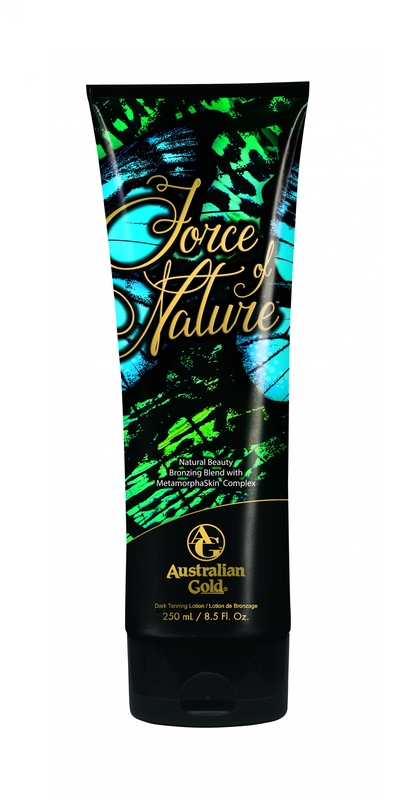 Natural Beauty Bronzing Blend gives an instant glow with maximum plateau-breaking potential for the darkest color possible. Flaunt that gorgeous radiance with MetamorphaSkin™ Complex to deeply revitalize for a more youthful appearance. Give tattoos a decadent gulp of hydration with ColorGuard™ Plus Tattoo Technology to provide vibrancy to all your beautiful works of art! Top it all off with Purrfection Finish Primer to leave skin silky soft for an overall alluring appearance. It's time to go on a spectacular adventure and be a true Force of Nature™!